Bringing change to the homeless. 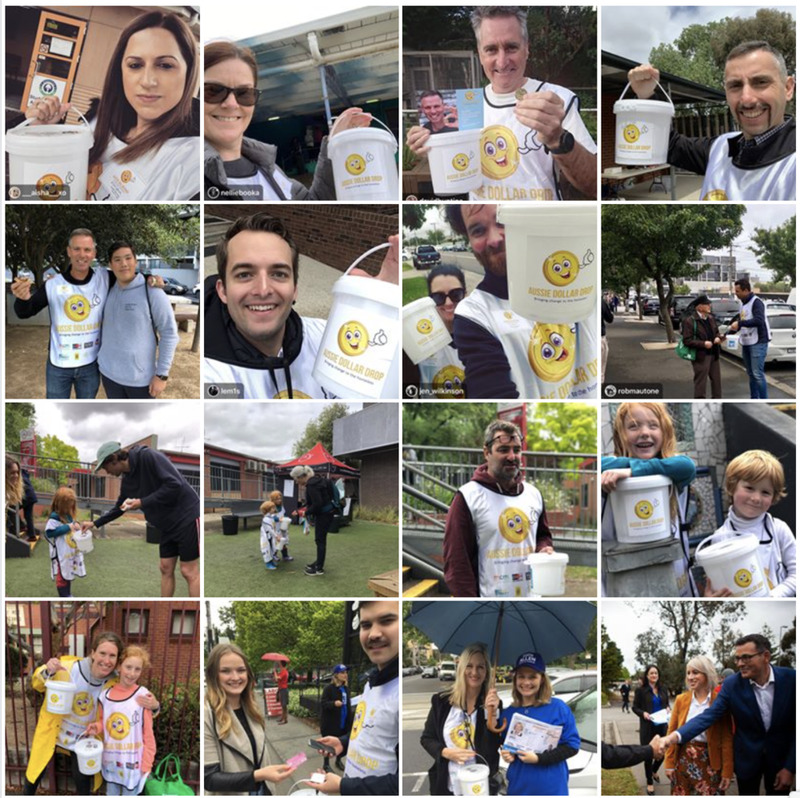 Our incredible Aussie Dollar Drop volunteers, out and about on Election Day. What is the Aussie Dollar Drop? Radio host and media personality Matt Tilley had an inspired thought - that if on one day, everyone in Victoria donated just one dollar, we could raise over 6 million dollars for those in need. In one hit. On one day. On Saturday November 24th we all have to go to the polling booth, so we could all just “drop a dollar” in a bucket on that day. And then, if we do it in the Federal election next year…that could turn into 25 million dollars. The homeless don’t need any new soup kitchens. Or another charity. But they do need our support for the great work already being done by so many in the sector. The Aussie Dollar Drop aims to fund projects and partner organisations at the coalface. They know the sector, and have already developed numerous programs and services to target needs - but they desperately need money to deliver them. Every dollar we allocate will go to directly to fund these programs and services, not overheads. Is to bring change to as many homeless Australians as possible, by funding a wide range of local organisations who are already actively working to improve the lives of the disadvantaged in your local community. Some wonderful supporters have come on board to lend a hand and build the momentum of the Aussie Dollar Drop campaign. Seed funding from the likes of Australian Unity, Merricks Capital, Winslow, Gersh Investment Partners and Escala has been invaluable. The generous offer of 13CABS to deliver our volunteer packs, the assistance of NAB in financial operations, the donation of collection buckets from Mitre 10 and the help of Australia Post in moving them around means 100% of profits go directly to helping the homeless. It has also been a pleasure working with Waverly Industries to brand our volunteer kits, a brilliant organisation providing jobs for the intellectually disabled. The Aussie Dollar Drop has established relationships with local charity partners working day and night to reduce homelessness. Some of these include the Salvation Army, Melbourne City Mission, McAuley Community Services for Women, The Big Issue, Kids Under Cover, Berry Street and the Victorian Aboriginal Community Services Association . We acknowledge the wonderful and high impact programs of these organisations already operating in the sector and hope to connect the loose change of Australians to the very real change happening on the ground. If you are doing something meaningful that helps the homeless of Victoria, get in contact! We hope to help you out.